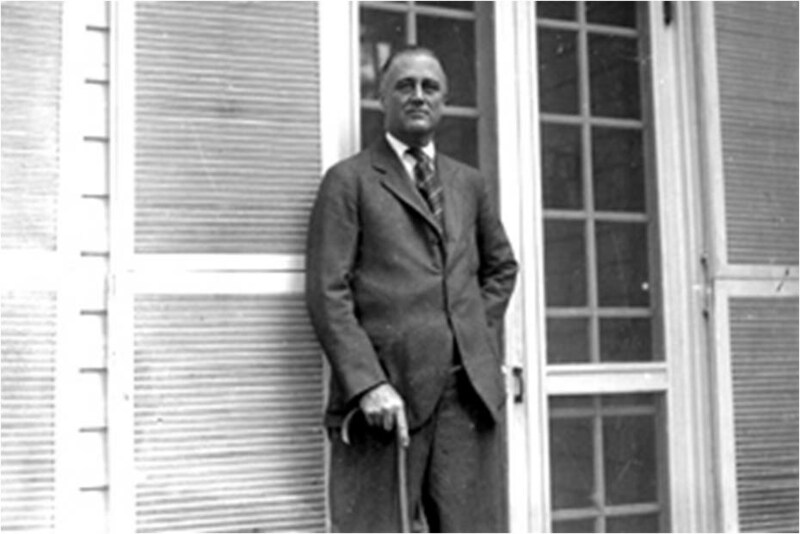 FDR never denied his polio. In fact, he used it to his advantage as an example of how he overcame it to achieve the Presidency. Yet, he never admitted just how disabled he really was, taking extraordinary measures to present to his constituents the picture of a man who was only minimally bothered by his disability. Here is a wonderful example. 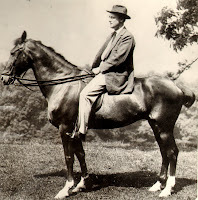 I just purchased this photo on ebay that ostensibly shows FDR after his polio riding a horse. With the state of his legs, this is simply impossible. This must have been a very calm horse, for if he had taken a step, FDR would have surely fallen off. No doubt a skilled rider was just off camera should any problem had arisen. The Yalta Speech. Reward Now $10,000. What was FDR's greatest speech? 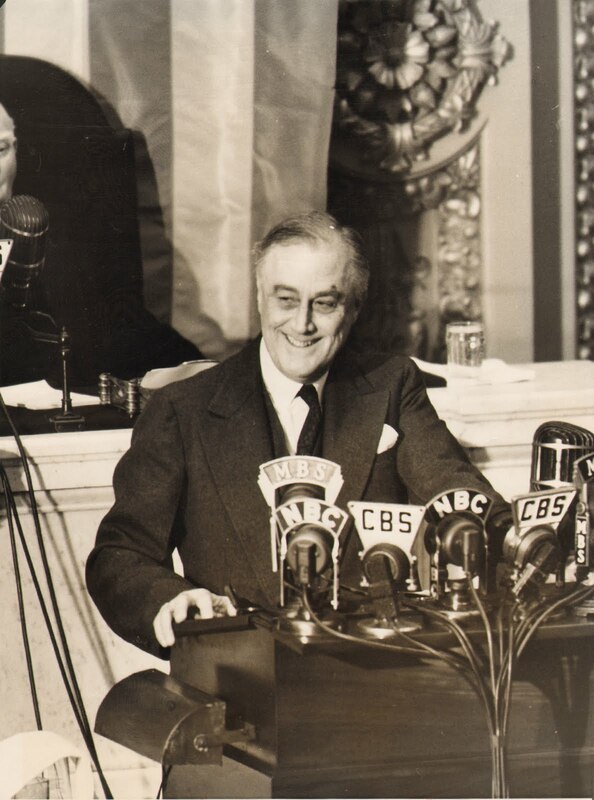 I recently offerred a $5000 reward for the first person to produce an unedited complete video of the speech delivered by FDR on March 1, 1945 to a national radio audience and a joint session of congress. I have now increased that amount to $10,000. It might as well be a million. 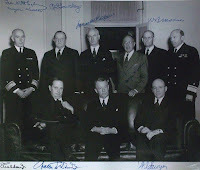 There is little dispute as to FDR's top two speeches: The first inaugural "We have nothing to fear but fear itself" and the day following December 7, 1941 "The day that will live in infamy". Take your pick which is better- they're both forever etched in history as among the greatest ever given (personally I vote for the first inaugural). After that, there's room for debate. 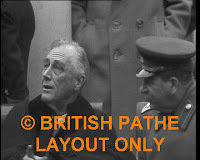 The March 1945 Yalta speech is my vote for number three in importance, obviously not on the basis of the horrendous oratorical performance, but as his final effort to consolidate his presidency into a legacy for the future of the world, The United Nations. 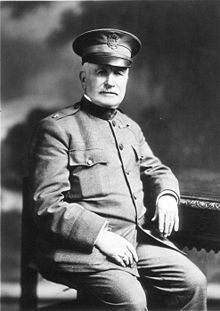 It was the last ditch effort of a dying man to do what his mentor Woodrow Wilson could not, establish a successful vehicle to establish world peace. 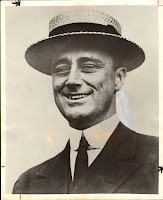 What is not appreciated, despite every effort on my part, is that FDR actually knew he was doomed before his third term. Nonetheless, Frank Lahey put an exclamation point on it in July 1944, after which the United Nations became FDR's final obsession. Unfortunately, Roosevelt's appeasement of "Uncle Joe" Stalin to get it done created an environment from which developed the cold war, Korea and Vietnam. The real tragedy of Yalta was not Poland. This was a "fait accompli" forged at Teheran. Stalin already had his puppet government established in Lublin and wasn't about to compromise his western flank. 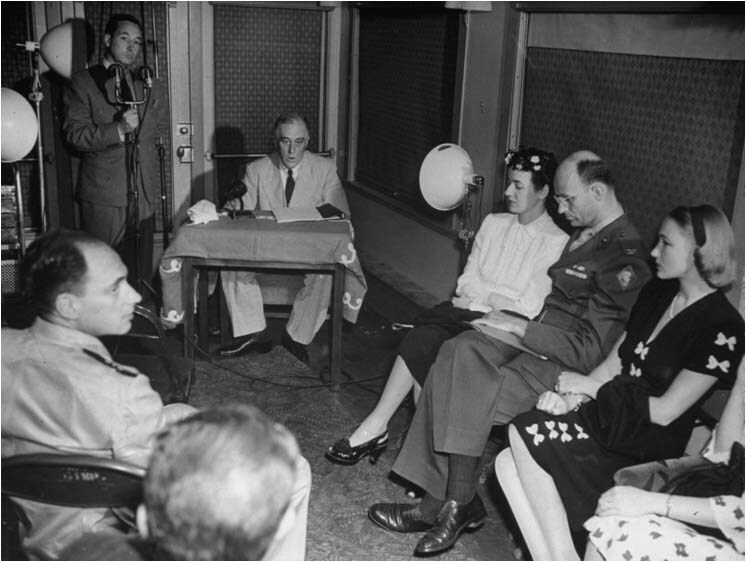 The loss of Chiang Kai Shek as leader of China, (no bargain but the far better of two evils) was sealed by the secret agreements made at Yalta, unbeknownst to Chiang, his Cheif of Staff General Albert Wedemeyer and Ambassador Patrick Hurley. For a liberal democrat such as myself this may seem an odd assertion, but more than political philosophy, the hard, cold evidence is uncontrovertable. 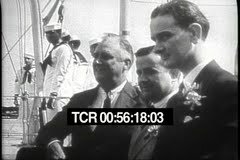 The lack of existence of the Yalta Speech video is testimony to the incredible power over the media that FDR established over twelve years. If by some miracle a copy survives, it will blow a huge hole in Howard Brueen's fairy tale and confirm all we have asserted in our book. I'm not holding my breath! First of all, I would like to offer my sincere thanks to all of the fine people at Lahey, especially John Libertino, Lisa Polacke, for their hospitality and kindness in putting together a most pleasurable event last weekend. 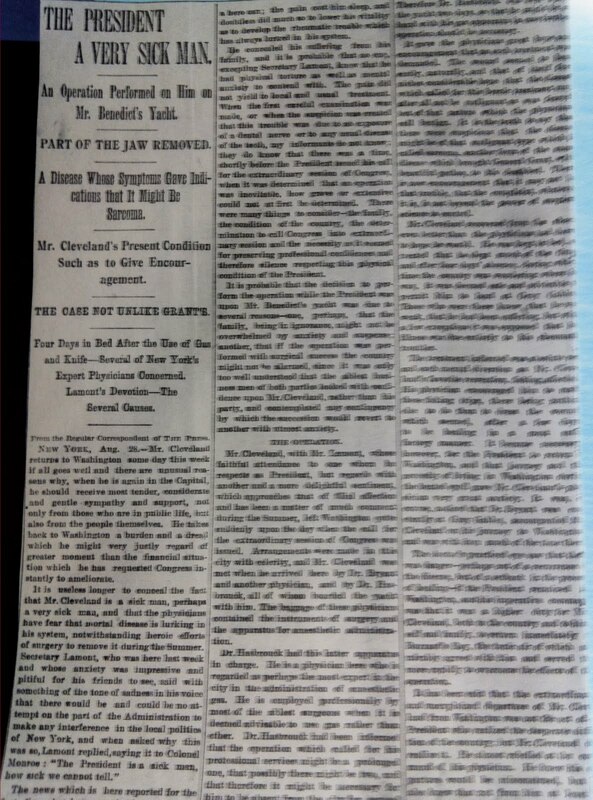 The star of the show was the Lahey Memorandum, the document rescued from destruction through the efforts of Dr. Harry Goldsmith, who was also in attendance. Now lets dissect what the memorandum really says and means. The two previous posts are required reading. 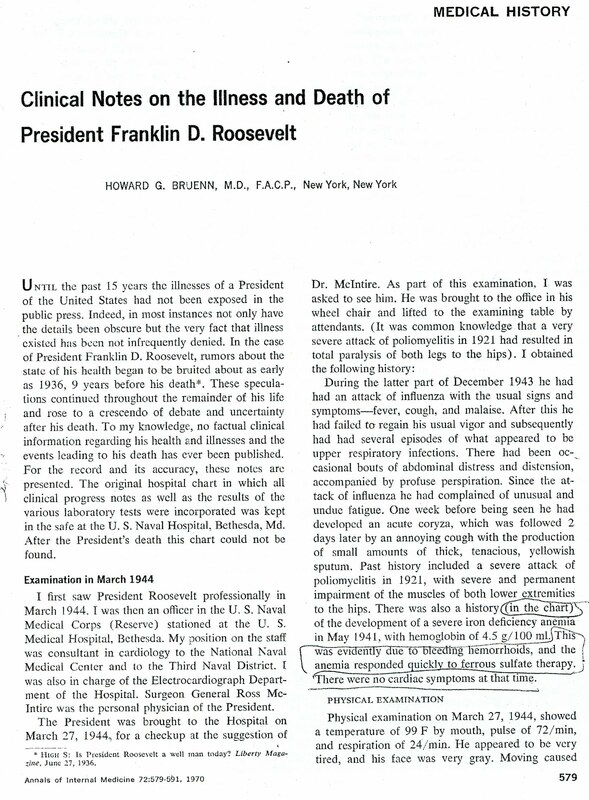 The first question is why one of the world's pre-eminent surgeons is prognosticating on a cardiac diagnosis, especially so since the notion of hypertension even being dangerous at the time was not widely accepted?This is coupled with the fact that FDR had a serious abdominal problem in April 1944, well documented by Howard Bruenn in 1970, that was not seen or mentioned by Lahey. As I have previously written, Bruenn likely conferred with Lahey over the wording of the memorandum and his 1970 whitewash was purposely designed to be compatible with it. Bruenn surely did not want to be caught in his lie if it came out. He undoudtedly knew about it. 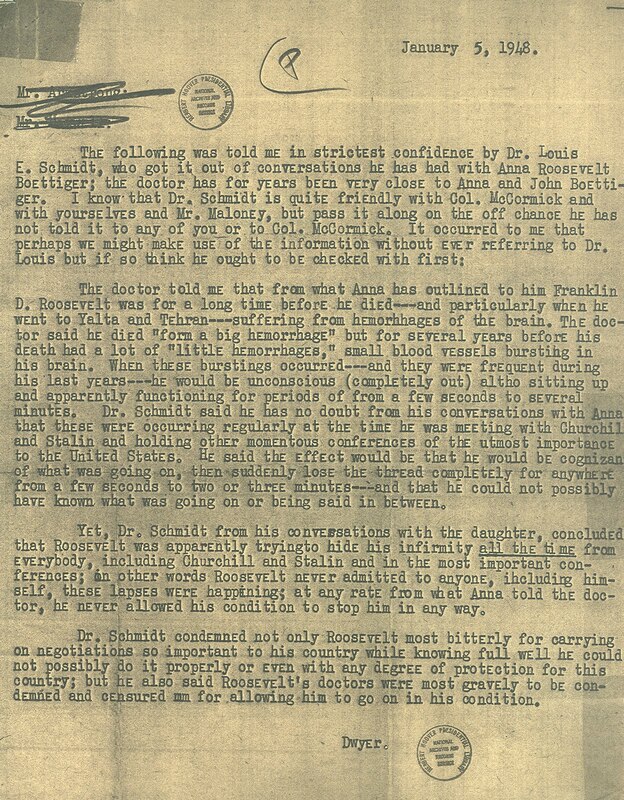 The deal was the following: Lahey and McIntire were long standing associates in FDR's treatment and when Lahey expressed concerned about his reputation and place in history. Mcintire recognized this as legitimate. 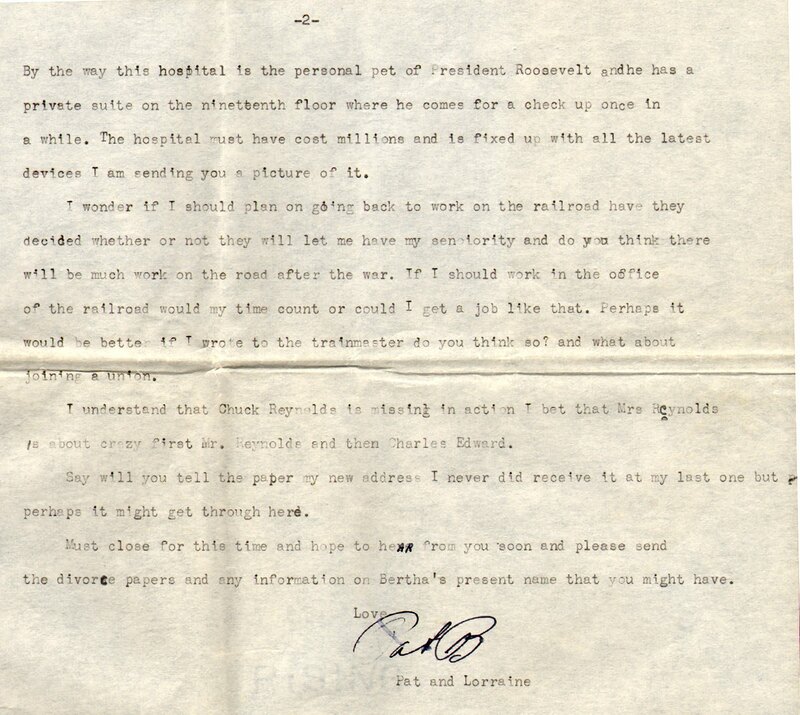 The only continginency was that he could not mention the real reason for the prognosis- FDR's Deadly Secret. 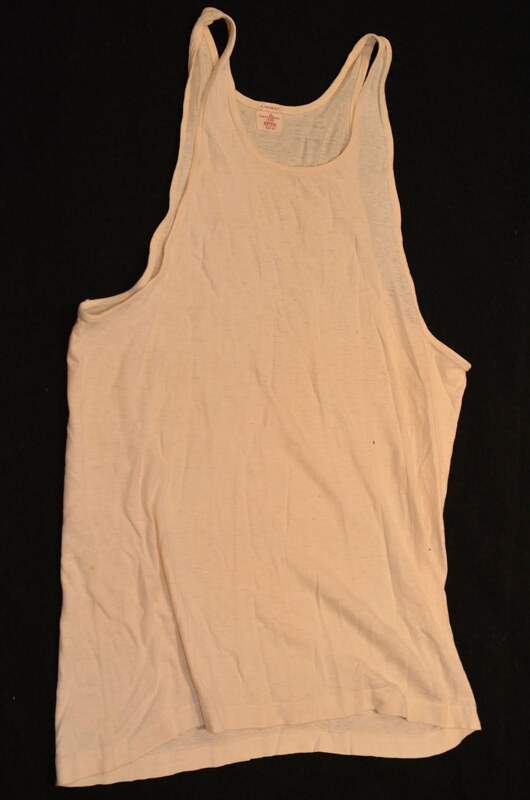 The other interesting aspect of the document is that when it was finally turned over to Linda Strand by the law firm of Herrick and Smith, it was a copy. The original had been "stolen"! John Libertino believes that McIntire, who knew attorney Hanify, destroyed it. 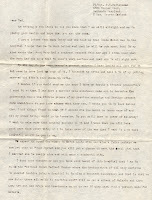 He has a hand-written letter from H &S attorney Edward B. Hanify stating that he did not know where the document was. My take was that Howard Bruenn was the culprit. 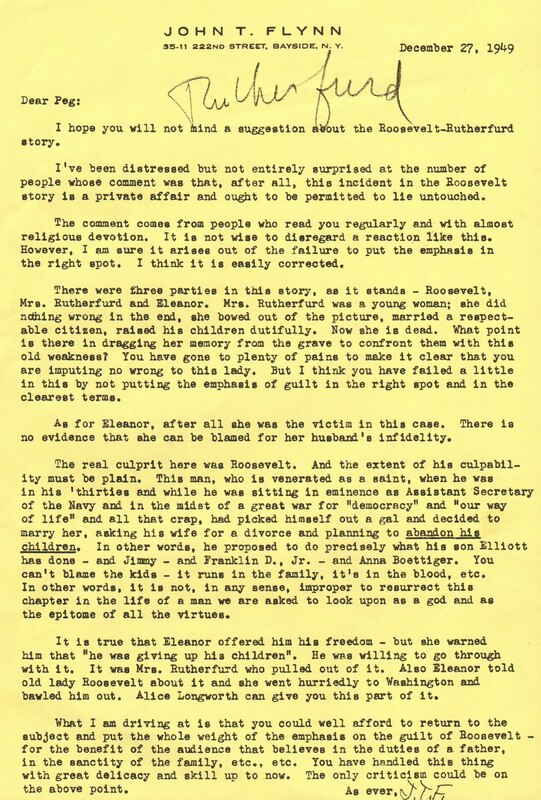 Regardless, Mrs. Strand verified that the copy was indeed from the original. The other mystery is Lahey's reference to a "trip to Russia". 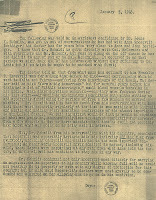 This did not occur until February 1945, long after the July 1944 date of the document. 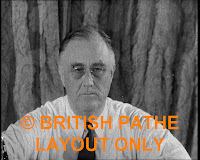 Roosevelt last trip across the Atlantic was Teheran in November 1943. 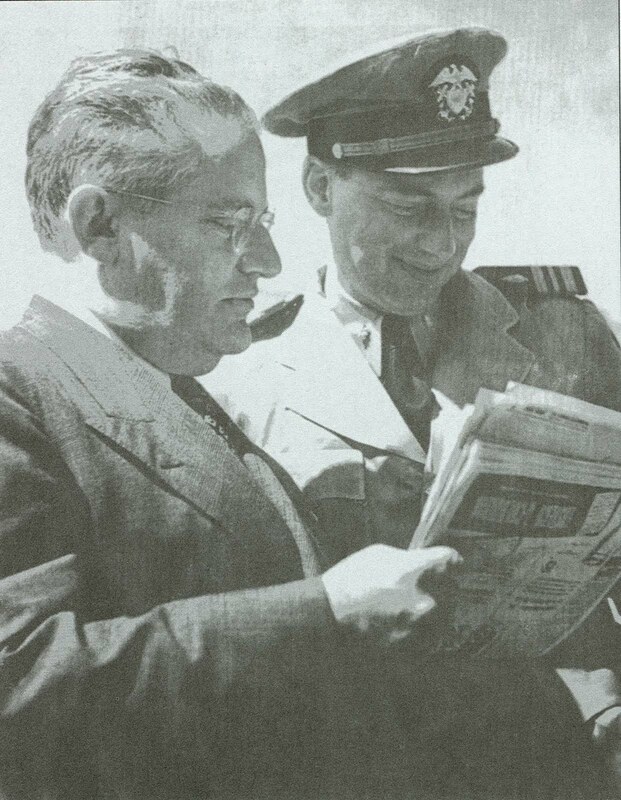 He was also in Casablanca in January 1943, when Mcintire imposed a strict 8000 feet altitude restriction on his flight to protect his heart (a problem he allegedly didn't have until March 1944!). Oh! What a tangled web we weave!!! Others beside me know the truth of all this, likely told of it by Howard Bruenn himself. The family's silence is deafening. 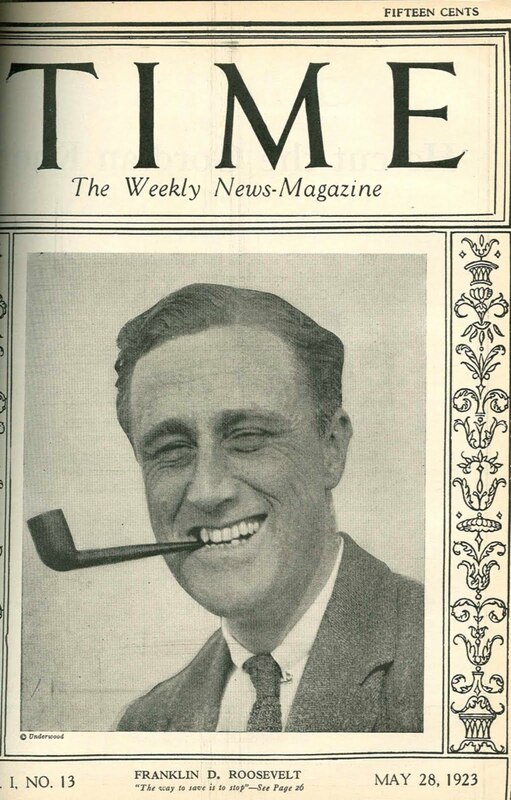 The ghost of the most powerful man of the twentieth century continues to prevail. Did Frank Lahey participate in the coverup? Absolutely! 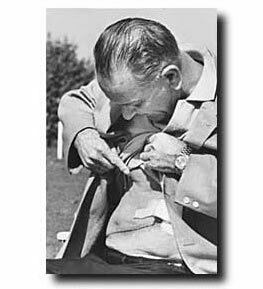 People in Boston, where the venerable Dr. Frank H. Lahey ruled the roost until his death in 1953, are loath to believe that a man of his ethics (and politics) would participate in a medical coverup. Well, he did. 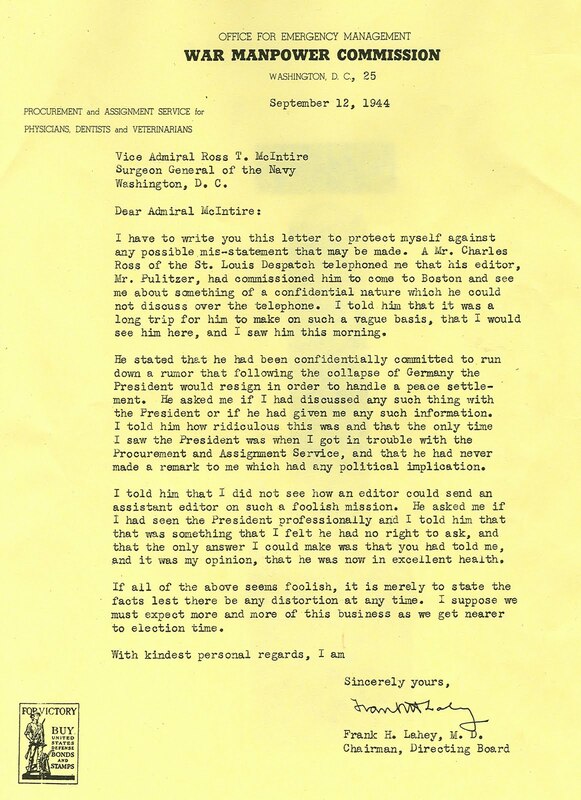 Here's a letter that provides unequivocal proof of that fact, written in late 1944 to Admiral McIntire to explain the circumstances of an interviw by a reporter from a St. Louis newspaper. 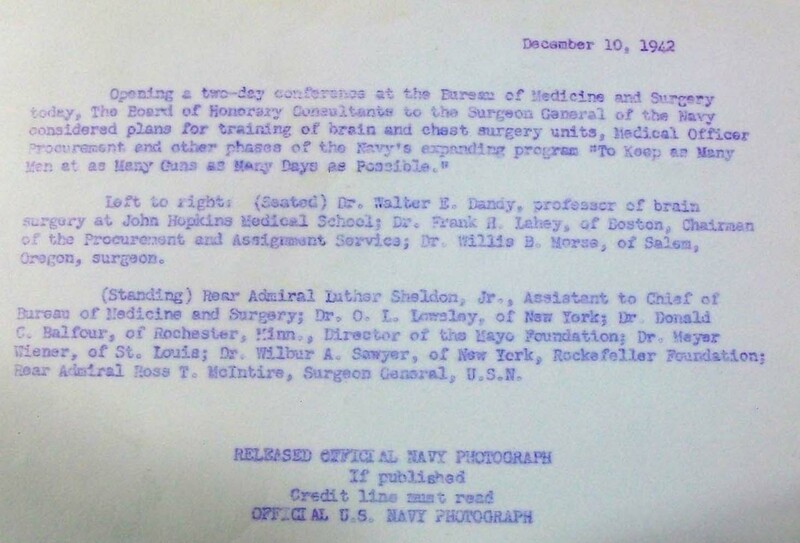 The fact of the matter is that within the juggernaut of FDR's powerful medical deceptions, Frank Lahey was just another pawn. Lahey had a very intense relationship with McIntire as one of the leaders of the military medical effort from 1942. Here is that proof as well. This is only one of a number of panels of medical superstars that Lahey chaired for Mcintire during the war. 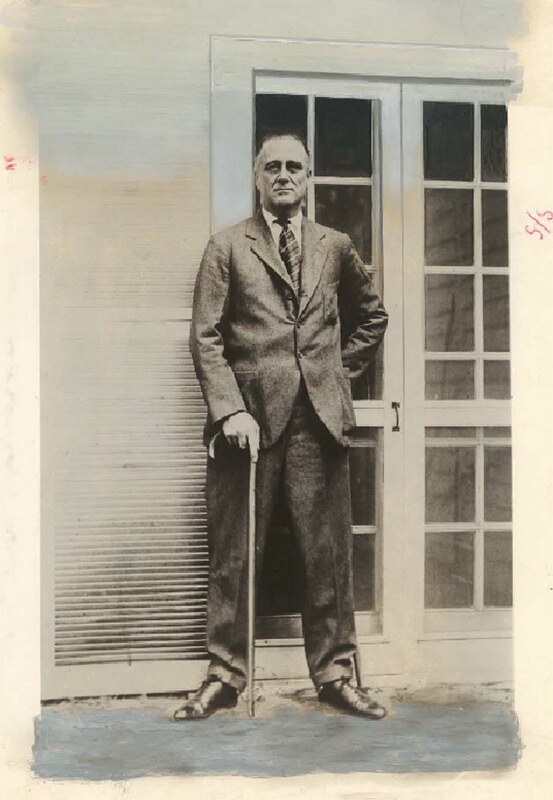 Another panel included William Calhoun Stirling, FDR's urologist. 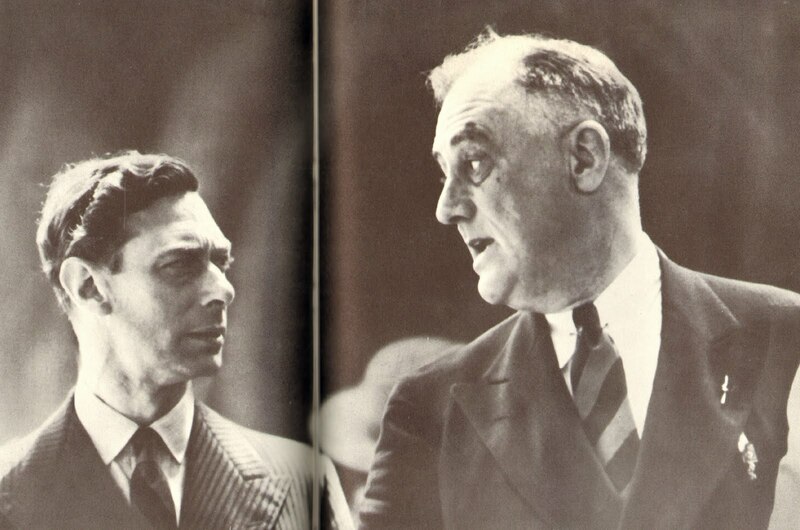 This is probably the time Lahey began seeing FDR professionally as well, or perhaps even earlier during the time of Roosevelt's, massive lower GI bleed between May and July 1942. 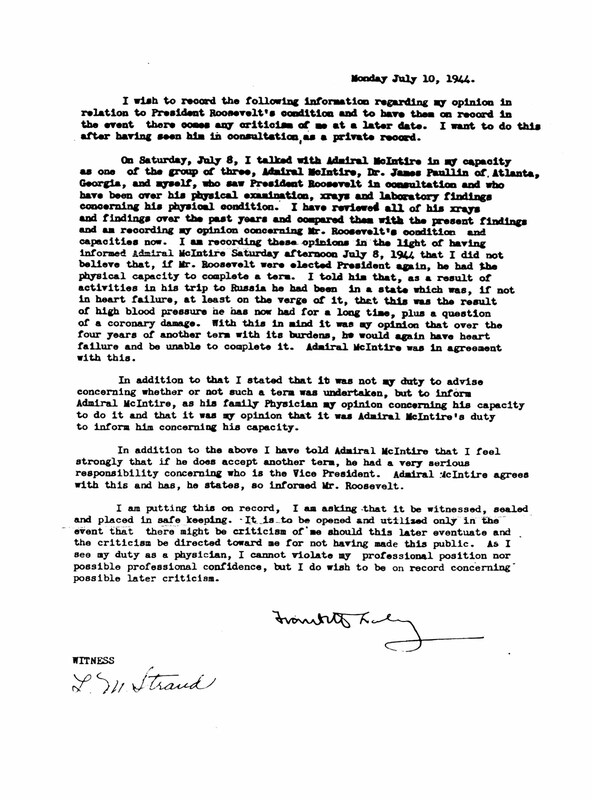 Its only logical that as one of the world's leading experts, Lahey would have been consulted, though theres not one iota of proof (FDR was exceedingly efficient at covering up his medical problems). The two great physicians had great respect for each other. 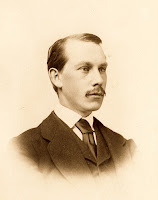 That is the reason why Mcintire permitted Lahey to file his memorandum so that his reputation would be respected. One thing that can't be proven, though is highly likely to have occurred, is a deal between the two men whereupon Lahey was not permitted to reveal the real reason for his participation- Cancer. 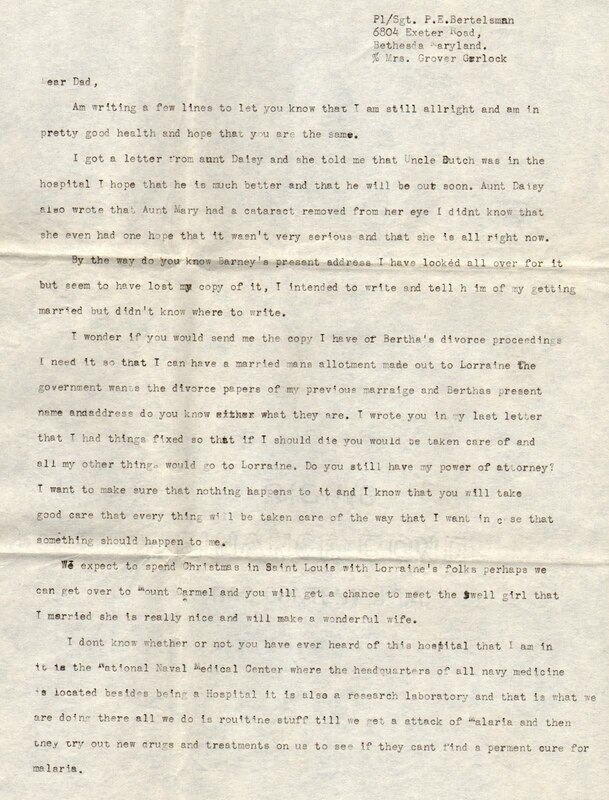 This is why we are in the very peculiar position of a leading abdominal surgeon offering a cardiac prognosis and a brilliant clinical cardiologist (Bruenn) treating an acute abdomen (at Hobcaw in April 1944). None of this makes apparent sense, but in the context of the cover-up it does. 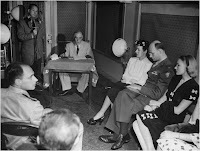 "In the last couple of years I used Howard"
In 1951, as a result of a renewed accusation that FDR was "the sick man at Yalta" byJames A. Farley, Ross McIntire went into a "protect the boss" mode and, as the keeper of FDR's Deadly Secret granted an interview to U.S. News & World Report to squelch the rumors. 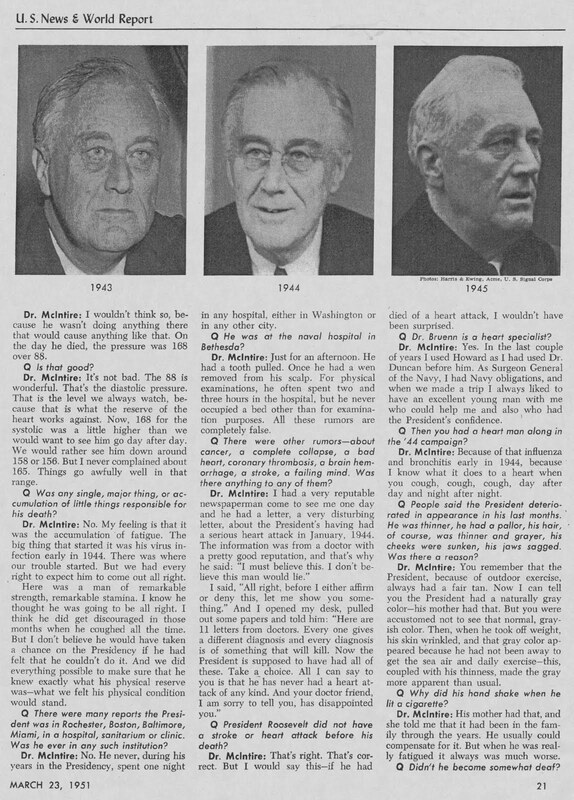 Of course the good and ever loyal Dr. McIntire went to his grave in 1959 denying that FDR had basically nothing more than a cold during his presidency. The whole interview is classic Mcintire, a collection of fabrications that even present day "mainstream" FDR historians would recognize as such. But there is one very revealing sentence that does irreparable harm to the fairy tale concocted by Howard Bruenn in 1970, one that that the very same historians consider gospel. 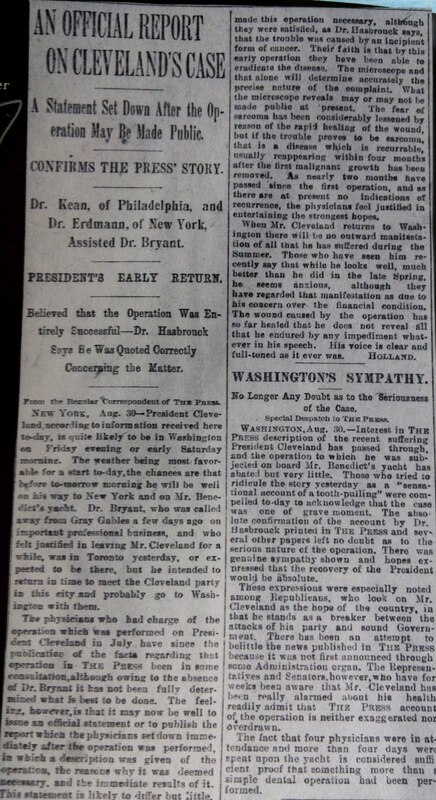 On the top of the third column of the page above, Mcintire, when asked about Bruenn, casually states "In the last couple of years I used Howard as I had used Dr. Duncan before him." 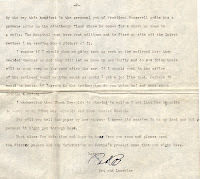 The two year time period is also noted in his 1946 book and in 1946 correspondence back and forth between McIntire and Bruenn. 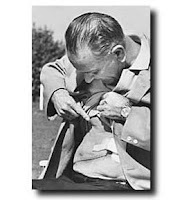 Yet Bruenn, in his highly calculated 1970 work of medical half truths states unequivocally "I first saw the President in March 1944", something he made up as the keeper of the secret after Mcintire passed the torch, either actively or by his demise. 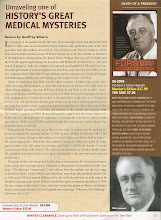 Yet every major biography of FDR since continues to buy into this poppycock. My Lahey Clinic lecture with Harry Goldsmith is in four days. Barring miracles, It will be the highlight of my FDR year. 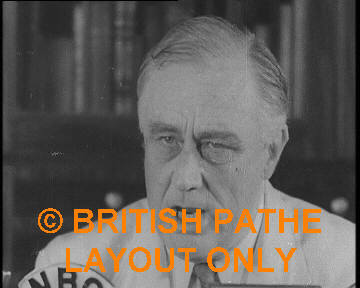 I will pay $5000 cash for a complete unedited video of FDR's March 1, 1945 speech to congress. This is clearly one of Roosevelt's most important speeches, whereupon he pursues his legacy for the future, The United Nations and reports to the nation about his meeting with Stalin and Churchill at Yalta. No complete video has yet been located. The might seem surprising, yet the reason is quite clear. 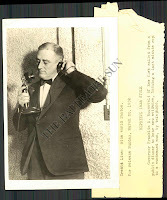 FDR made numerous ad libs and errors that were simply not permissable to be shown in the environment of airtight control of the media. Even the audio version (see link above) has been edited. In fact, Jonathan Daniels had a helluva time coming up with a workable transcript for the "official" version that went to the press and now appears on most websites (see Daniels book for details). 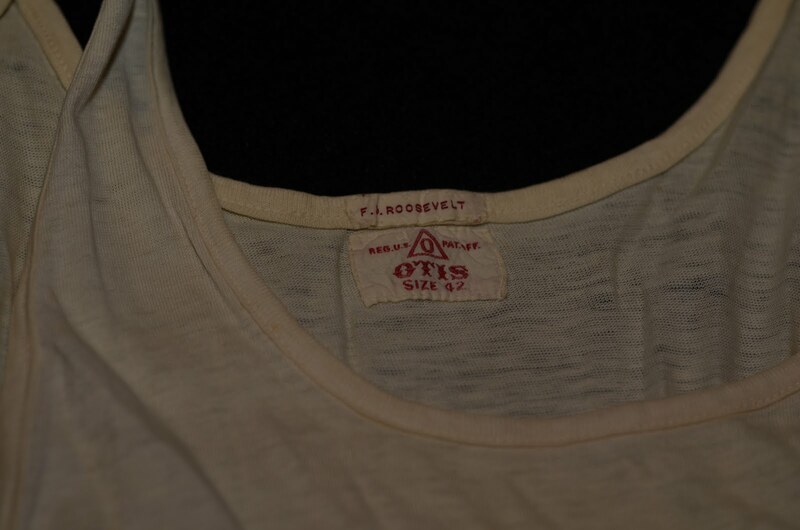 You won't find it at the FDR Library. Perhaps, as Michael Moore found a "lost" FDR video of a 1944 speech taken when FDR was recovering from one of his episodes of "influenza", in this case probably a mild stroke, the video might be in some dusty corner of a library or press archive. Perhaps it as actually still classified as secret, despite being given to both houses of congress. Good hunting! Historical truth will be well served if it is located.